In this interview, administrators from Greenville City Schools explain why and how they've launched a district edtech initiative that helped students grow an average of 15 national percentile points in less than a year. Laura Bemus is a lifetime educator with more than 30 years experience and a passion for innovation and student success. She’s taught students of all ages - from kindergarten to grad school. She’s also served as an Elementary and Middle School Principal and a Director of Curriculum and Special Education. Q: What steps have you taken to work towards educational equity? Laura Bemus: We’ve really worked hard to focus on Kindergarten through third grade literacy and early intervention because we feel like that will make the greatest long term impact for our students. Jody Harter: We hold high expectations for all of our students, whether they’re high performing, low achieving, or at risk. Our teachers work hard to provide targeted instruction, which we develop in weekly teacher meetings. We really focus on finding and creating appropriate independent work, because we know that we can’t count on homework as our interventions. We need to fill that gap of what’s missing in students’ homes, and we work hard to meet what each student needs. Q: What are some challenges you've faced in tackling the achievement gap? Jody Harter: Of course timing is always a challenge for everybody, whether it’s not enough time with collaboration among teachers, or not enough time with students. We’ve blocked out an intervention time so we can use all hands on deck and working with students. Differentiation is always a challenge. We try to meet student needs and reading levels through guided reading groups and engaging students with appropriate and desirable independent work. We do that though the use of technology. We couldn’t afford to give our students search-and-finds and worksheets when working with small groups, we needed to find genuine and quality individual work. 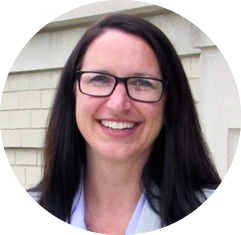 Laura Bemus: We started testing in math and reading with the NWEA MAP, and that was very helpful because we could see our students and how they were growing. However we had a lot of good information, but our next challenge was we know where they’re at, but what can we do to make sure they’re all engaged and getting what they need? We saw a great TED Talk given by Todd Rose called “The Myth of Average,” and it talked about how if we’re aiming towards average, then we’re not meeting any student’s needs. That lit our fire, and we realized that we need to meet all of our students' needs because we have this great data that tells us what their needs are. Targeting what we knew students specifically needed was really our greatest challenge. As we moved towards our 1:1 initiative, we wanted to help teachers use those iPads to their fullest extent to target instruction. "Targeting what we knew students specifically needed was really our greatest challenge. As we moved towards our 1:1 initiative, we wanted to help teachers use those iPads to their fullest extent to target instruction." Q: Is technology essential for meeting the needs of all students? Jody Harter: Yes, I feel that it is, but technology can’t do it alone. Teachers work hard day in and day out, and technology just makes their lives a little easier. Technology is naturally engaging to students, and it’s very efficient in meeting the needs of differentiated instruction. Technology can give us accurate real time data, and it gives us a way to take something off of teacher’s plates. iPads and eSpark allow students to engage in independent learning at their individual level so that Greenville teachers are free to work one on one with students or with small groups for lessons or targeted interventions. Q: How do we prepare all students to thrive in a rapidly changing world? Jody Harter: We have to change with the world. There’s a famous quote, “Change is inevitable, but growth is optional.” At Greenville City Schools, we opt to grow. We’re preparing our students for jobs that we don’t really know about at this point, so we really have to keep teaching students how to apply their knowledge and resources. Most importantly, we have to teach students to think critically and problem solve and then be able to effectively communicate their thinking. We no longer have to memorize information - that’s what Google is for! The mindset to persevere through challenges is the mindset we need to instill in students to prepare them for this changing world. "I wish I would’ve known how easy students would adapt and take to this technology. 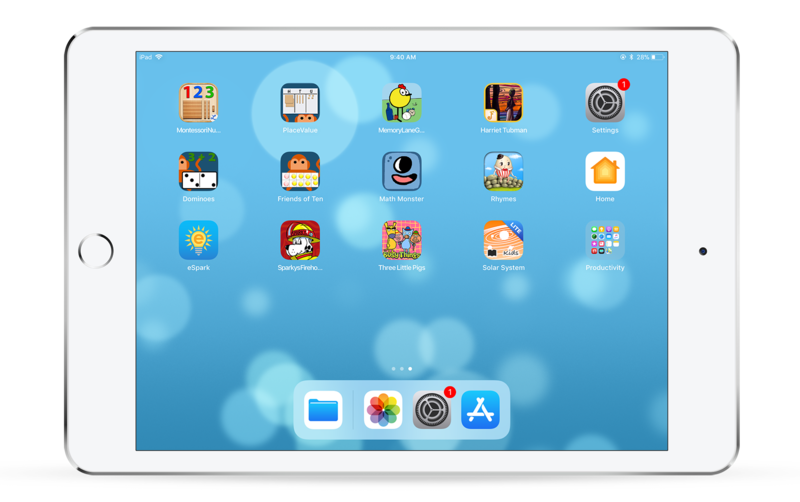 There was some fear that devices would be broken or students wouldn’t know how to turn off and on their iPads, but the kids just naturally took to it." Q: Is there anything that you wish you'd known before launching new technology? Jody Harter: I wish I would’ve known how easy students would adapt and take to this technology. There was some fear that devices would be broken or students wouldn’t know how to turn off and on their iPads, but the kids just naturally took to it. They took great pride in their devices, and of our 200 iPads, not one was broken during the school year. We launched in just one grade level, but after seeing how positive our results were, we got feedback from teachers who said, “You know, I wish you would have kicked this off (in more grades) earlier.” At the same time, we were able to really support our teachers by starting with just one grade level and then expanding.